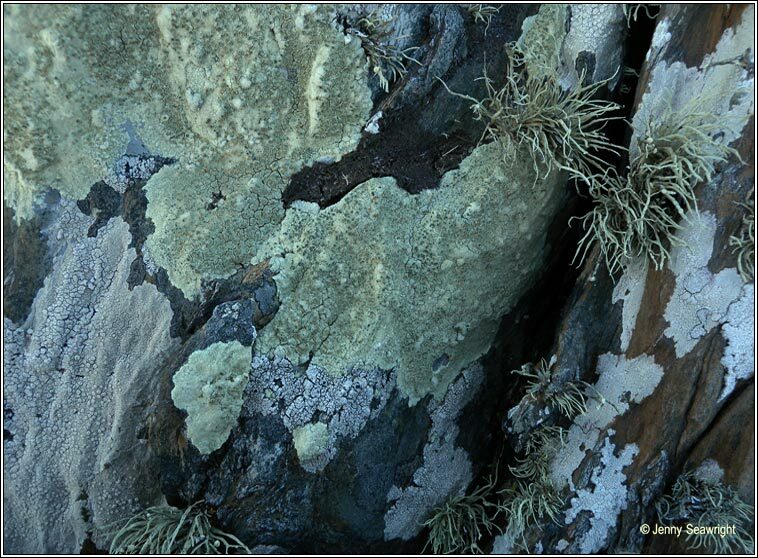 Photos: On acidic coastal rocks. Dunmanus Bay, Cork, SW Ireland. 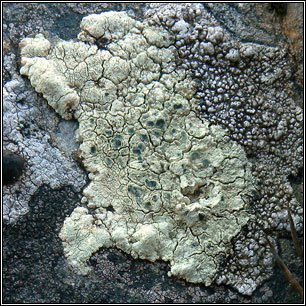 Thick warted and cracked, yellowish-grey to bright yellow-green thallus surrounded by greenish-black prothallus. 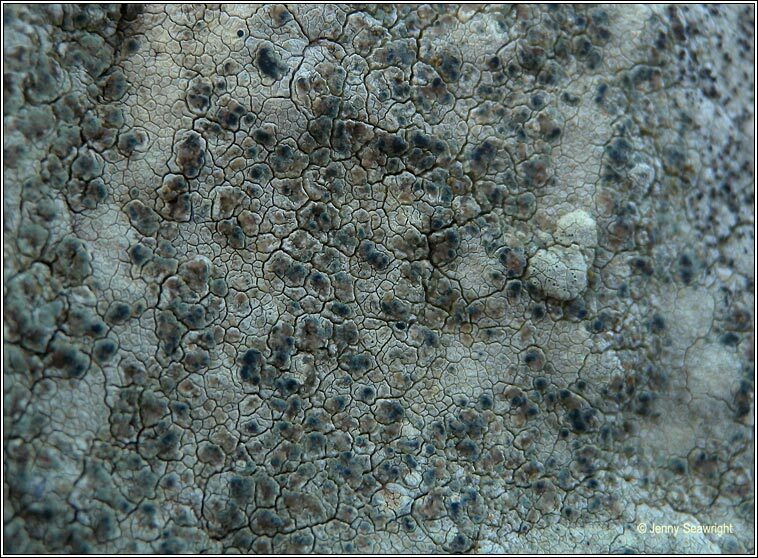 The immersed pale, irregular apothecia become blackish with pale grey pruina. 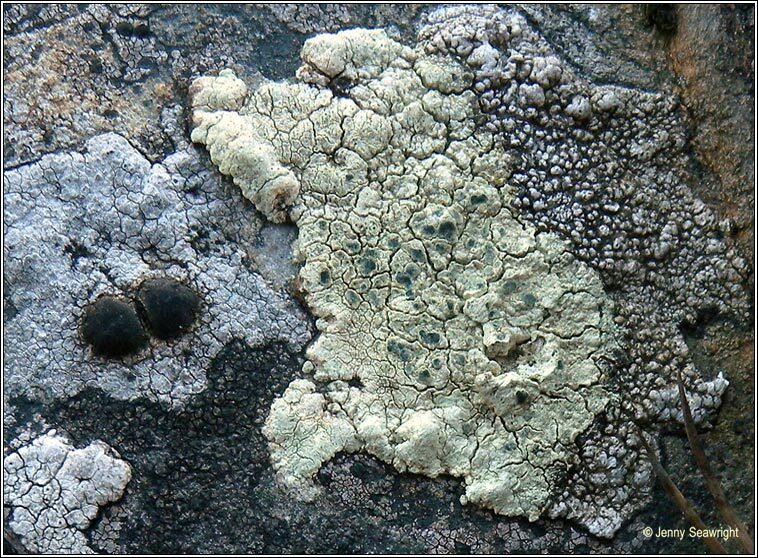 Exposed nutrient-rich siliceous walls and rocks, also parasitic on Tephromela and Lecanora species. Found on coast and inland.